The present State Government has completed two years on 25 December, 2014. During this period, the State Government has claimed of achieving many milestones in the field of overall development besides ensuring welfare of all sections of the society. 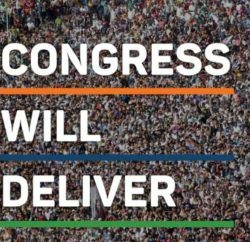 -Election Manifesto of the Congress Party adopted as policy document of the State Government for fulfilment of promises made to the people of the State during the Vidhan Sabha Election. -Responsive, transparent and accountable administration ensured to the people of the State. -Rs 500 crore Skill Development Allowance Scheme launched for skill up-gradation of educated unemployed youth. Skill Development Allowance of Rs 1000 per month is being given to educated unemployed youth. This allowance is Rs 1500 per month for persons with disabilities. -Rs 200 crore allocated under the scheme during the last two years. As many as 59,479 youth benefited during this period. -Relaxation in educational qualification of candidates interested in pursuing training in certain vocation like masonry, carpentry, plumber etc. -Rajiv Gandhi Ann Yojana launched to provide food security to the people. 37 lakh people being provided three kg of wheat at Rs. 2 per kg and two kg of rice at Rs. 3 per kg per month. All the BPL families to get 35 kg ration per month as usual. -The State Government has spent Rs. 237 crore under State Food grain Subsidy Scheme during last year and has made a budget provision of Rs. 220 crore for this financial year. -Free travelling facility to all the students of government schools from home to school and vice versa in Himachal Road Transport Corporation (HRTC) buses. -5000 net books provided to meritorious student of 10th and 10+2 during 2013-14 and 7500 net books being provided under Rajiv Gandhi Digital Student Scheme during the current financial year. -102 Janani Express Service launched to provide free transport facility to pregnant women and after delivery to the mother and her child from hospital to home. 125 ambulances deployed throughout the State under the scheme. -Two biswa land in urban areas and three biswa land being provided free of cost to the eligible houseless persons. -Annual income limit for availing benefits under different welfare schemes enhanced from Rs. 20,000 to Rs. 35,000. -Social Security Pension enhanced from Rs. 450 to Rs. 500 per month. Pensioners above 80 years of age being given pension at a rate of Rs. 1000 per month. -Social Security pension being provided to 3,04,921 eligible persons. Rs. 366.11 crore spent during this period. -Assistance under inter-caste marriage scheme enhanced to Rs. 50,000. As many as 571 eligible couples provided 216.69 lakh during this period. -Rs. 39.43 crore provided as grant to eligible Schedule Castes, Schedule Tribes and Other Backward Class beneficiaries for construction of houses. -Scholarship worth Rs. 179.78 lakh provided to physically challenged students under different scholarship schemes. -Rs. 24.95 lakh spent on skill up-gradation of physically challenged. -The Income Limit for Creamy Layer of Other Backward Classes enhanced from Rs. 4.5 lakh to Rs. 6 lakh. -21,851 girls benefitted under ‘Beti Hai Anmol’ scheme during last two years by spending Rs. 997.75 lakh. -One time Incentive/award of Rs 75,000 being provided to all students getting admission in degree courses in any Indian Institute of Technology or All India Institute of Medical Sciences and in Post Graduate/Diploma course in any Indian Institute of Management. -717 new schools opened and up-graded during last two years. -14 new degree colleges opened. -2,352 new posts of various categories created in the educational institutes. -7,457 posts of teachers have been filled and 1755 are being filled in Education Department. -PTA teachers who were removed by the previous government, reengaged. Policy formulated for regularization of PTA and Para teachers. -Grant-in-aid of PTA teachers enhanced from Rs. 7500 to Rs. 10,375, Grant-in-aid of TGT enhanced from Rs. 69502 to Rs. 10,425 and Grant-in-aid of C&V teachers enhanced from Rs. 6750 to Rs. 10,725 per month. Honorarium of PAT teachers enhanced to Rs. 8900. -Five new polytechnics opened in Sirmour, Kullu, Bilaspur, Kinnaur and Lahaul-Spiti Districts. -IIIT being established in Una district at a cost of Rs. 122 crore. -Indian Institute of Management and AIIMS sanctioned for the State. -Sanitation workers, rag pickers, Auto Rickshaw drivers and taxi drivers covered under Rashtriya Swasthya Bima Yojana (RSBY). 4.48 lakh Smart Cards provided to beneficiaries under this scheme during this period. -730 Doctors appointed to provide specialized health services to the people. -More than 50 Health Institutions opened or up-graded in the State which includes 7 hospitals, 9 community health centres, 23 primary health centres and 5 sub-health centres. -ESI Medical College opened at Ner Chowk, Mandi. -Super speciality facilities provided in Indira Gandhi Medical College, Shimla and Dr. Rajindra Prasad Medical College, Tanda. -A list of 352 generic medicines prepared and a provision of Rs 30 crore has been made for the same. -Emergency services being provided in more than 100 Health Institutions in the State. -Three Medical colleges being opened in the State with the assistance of Government of India at Hamirpur, Chamba and Sirmaur districts with a provision of Rs 190 crore each. -New Campus of Indira Gandhi Medical College, Shimla to come up soon. -145 Assistant Professors, 48 Specialists doctors, 412 doctors, 331 staff nurses , 7 Radiographers, 19 Operation Theatre Assistants and 7 Dental Hygienists appointed. -908 kilometers new roads and 94 bridges constructed and 1271 Kms roads mettaled. 187 villages connected with road facility in last two years. 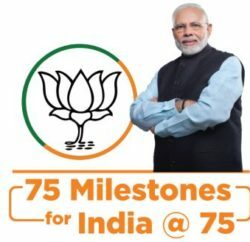 -Under PMGSY 574 kilometers new roads constructed and 146 habitations connected with roads and road projects worth 932 crores sanctioned. -DPRs of 170 schemes worth Rs 544 crore submitted to NABARD for undertaking projects out of which 131 schemes of Rs 409 crore have been sanctioned. -Under CRF, seven roads and 14 bridges worth Rs 121 crore sanctioned during the said period. -Six new State Highways upgraded to National Highways measuring 663 kilometers. The total road length of the NHs in the State is now 1753 kilometres. -Under Rs 111.19 crore Dr. YS Parmar Kisan Swarozgar Yojna 50 thousand square area has been brought under protected cultivation and Rs 5.04 crore given as subsidy. -Under Crop Diversification Scheme Rs 46.47 crore spent on small irrigation schemes, link roads and collection centres last year while provision of Rs 55 crore has been made for the current fiscal. -Anti hail nets provided to horticulturalists on 80% subsidy and during the period 26,83,200 square meter area brought under the anti-hail nets. -The procurement price of Mangoes, Apples and other citrus fruits increased by rupee one per kilogram. -Two panchayats of every assembly segment brought under ‘Mukhya Mantri Krishi Gram Yojna’ and Rs 10 lakh each is being provided to each panchayat for development of agriculture infrastructure. A sum of Rs 7.35 crore spent during last two years on the same. -Under Rajeev Aawas Yojna 2766 houses sanctioned and a sum of Rs 2212 disbursed. Under the scheme a sum of Rs 1292 has been spent for construction of 1098 houses. -Under Indira Gandhi Aawas Yojna as many as 12,170 houses constructed at a cost of Rs 7649.72 lakhs. -Under MNREGA 9,85,988 families provided employment and 493.48 man-days were generated out of which 175.12 lakh man-days for the families of SC/ST and 303.72 lakh man-days were generated by women. A sum of Rs 1013.04 has been spent so far on the same. -638 toilets in school, 38 toilets of Anganwari and 148 community sanitation complex constructed under the Nirmal Bharat Abhiyan. -459.95 rupees spent for providing safe drinking water to 4599 habitations and a target of providing the drinking water to 1181 habitations has been kept for this fiscal. -A sum of Rs 247 crore sanctioned for augmentation of drinking water supply schemes for Dharamsala, Mandi, Kullu, Manali, Kangra, Nagrota Bagwan and Rampur town besides Sewerage schemes for Nalagarh and Baddi, the construction work on which has been started. -Rs 269 crore spent for providing irrigation facilities for 8153 hectare area in the State. A target of bringing 1000 hectare area has been fixed for this financial year. -Rs 922 crore Swan River Channelization project being implemented in Una district and all the the 73 tributaries of Swan would be channelized and 7163 hectare area would be re-claimed. -For Channelization of Chaunch Khud in Indora in district Kangra a sum of Rs 180 crore is being spent. -A project worth Rs 1155 crore for channelization of Beas river from Palchan to Aut and a project worth Rs 191 crore for Pabbar River Channelization sent to GoI for approval under flood management programme. -Water ATMs being set up as a new venture in the State. -Timber distribution restored to the local people. -As many as 775 villages brought out of the century areas there by benefitting one lakh people. -New Industrial areas being developed in Una, Kangra and in Solan districts. 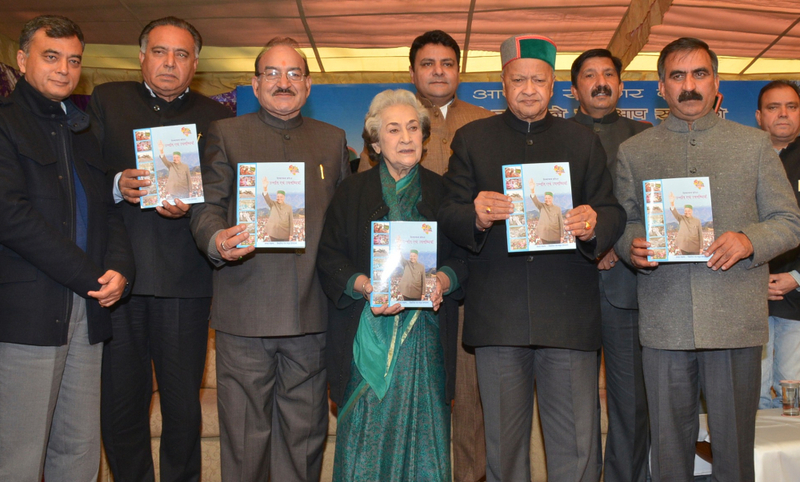 -Investors Meet organised in three metropolitan cities of the country under the Chief Ministership of Chief Minister Shri Virbhadra Singh to invite entrepreneurs to invest in the State. Proposal worth crore received from Big Industrial houses. -As many as 118 projects worth Rs 7582.95 crore sanctioned through Single Window Clearance and Monitoring Authority. 11,000 people to get employment. -Stamp duty and land use transfer fee reduced by 50 percent to promote industries. -Only 2 percent power fee would be charged from those industries up to five years who will give employment to more than 300 Himachalis. -All clearances for setting up new industrial units being given in 90 days on single application. -A tool room is being established at Baddi in Solan district by spending Rs. 147 crores. -A provision of Rs. 388 crores has been made to provide subsidy on electricity to domestic consumers. -The second phase of 10 MW Gaanvi hydel power project launched. It will generate a revenue of Rs. 12.5 crores to the State per annum. -28368 solar street lights installed in the panchayats during this period and 4337 solar lanterns distributed to the sheep breeders. As many as 10,000 solar lanterns were distributed to the flood-effected people of Kinnaur district. -Union Tourism Ministry sanctioned Rs. 3371.51 lakh for Kullu-Manali mega circuit. -576 Home Stay units registered in the State which are being given examption in VAT and Luxury Tax. -Rs. 265.11 crore sanctioned for purchase of 800 buses under JNNURM. -500 buses introduced to the fleet of HRTC. -Employees, pensioners and family pensioners provided financial benefits of Rs. 2035 crore. -The daily wages enhanced to Rs. 170. -The services of contract employees completing six years of service and daily wagers completing service of seven years regularized. -Extension of optional one year service to the government employees provided. -The fixed Medical Allowance of the employees enhanced to Rs. 350 per month. -9794 needy people provided help through CM Relief Fund by spending Rs. 2360.49 lakh. -The Samman Rashi of freedom fighters enhanced from Rs. 7500 to Rs. 10,000 and that of their widows and daughters to Rs. 5000 from Rs. 3500. -A provision has been made to provide rupee One lakh on the death of registered labourer, Rs. 75,000 on total disability and Rs. 37,500 on fifty percent disability. -The workers under MNREGA would also be registered with H.O Building and other construction workers welfare Board. -The registered workers are being given Rs. 50,000 as advance money for construction of house besides facility of disability pension, financial assistance for purchase of tools. They are also being provided facility of worker transit hostel. Amidst the claims of development from Congress and the state government, opposition BJP and CPM have termed two years of Virbhadra Government as dismal. Leader of Opposition Prem Kumar Dhumal has accused Virbhadra Singh for failing on all fronts and only achievement was busy settling political score with opponents. 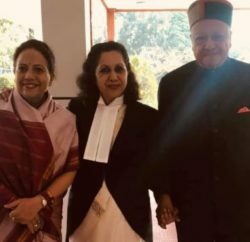 Dhumal also accused Singh for shielding the land, forest and mining mafias and recent revelation of mass felling of green trees in various parts of the state, is a one of example of it. He also slammed Govt for violating Sec 118 and amending it for facilitating outsiders. Former Chief Minister also accused mismanaging state financial health and putting it into acute financial crisis.